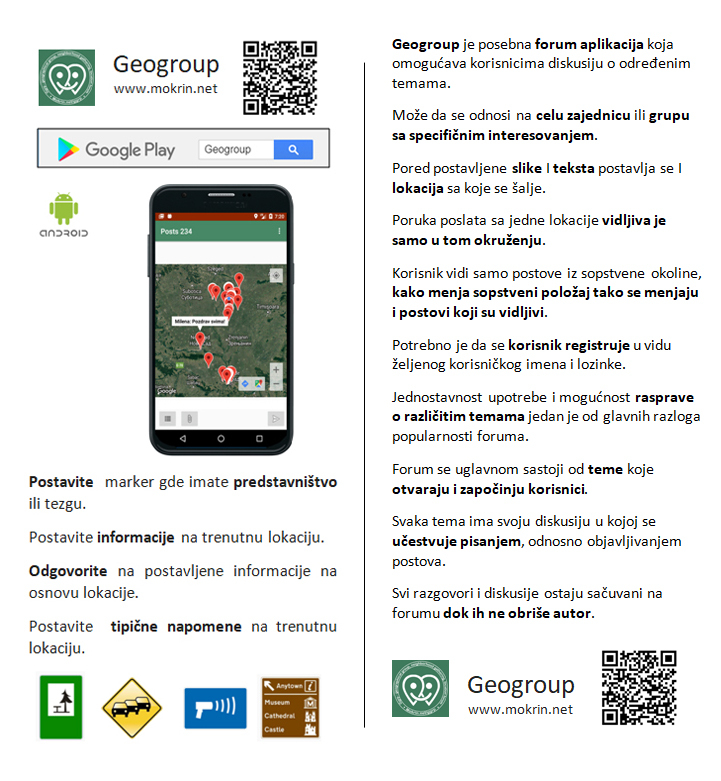 Geogroup is a special forum application that allows users to discuss specific topics. It can refer to the whole community or group with a specific interest. In addition to the set picture and the text, the location from which it is sent is also set. The message sent from one location is visible only in this environment. The user only sees posts from his own environment, changes his or her own position, and posts that are visible are changed. It is necessary for the user to register in the form of the desired username and password. Ease of use and the ability to discuss different topics is one of the main reasons for the popularity of the forum. The forum mainly consists of topics that are opened and started by users. Each topic has its own discussion in which it takes part in writing or posting posts.